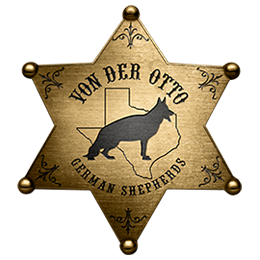 Von der Otto Recommended Dog Products and Supplies List! Our German Shepherd Recommended products and supplies list! The product we highly recommend for all dogs is NuVet, this is a vitamin that is like a treat for your dog. The dog's coat, within a month giving one tablet a day, you will see less shedding, extremely soft and shinny coat. Now, we have a Storefront at Amazon with many items we recommend for our dogs and so many other items we love. I have several categories! To go to our page click on Von der Otto Amazon Storefront . I will be adding new items daily. These items will be things I actually use or my customers recommend. If you have any suggestions please contact us or text me at 214-232-3194. One of my favorite things on my recommended list is the EyeVac! It has made my life dealing with dog hair on a daily basis a breeze. Much better then any vacuum cleaner. The EyeVac plugs into any wall and all you have to do is sweep the hair and dirt right into it, like the do at the barbershop! Best Supplements: Our favorite product is NuVet Vitamin and Immune Support or NuVet Joint Support, another good supplement for Joint Support is Liquid Health K-9 Glucosamine Hip and Joint Formula Supplement, the fish oil we use is Alaska Naturals Wild Alaskan Salmon Oil Natural Dog Supplement and for puppies younger then 8 weeks we use K9-Power Puppy Gold Nutritional Supplement for Growing Puppies. Dog Food: We feed Purina Pro Plan Focus Puppy Chicken and Rice Formula Food for puppies and Purina Pro Plan Sport All Life Stages Performance for adult dogs. Dog Shampoo and Conditioner: PPP Tar-ific Skin Relief Dog Shampoo and the most important is after a bath to use a leave in Conditioner that helps itchy dry skin and just makes the hair very nice and soft. Most people over bathed their dogs and cause very itchy and dry skin, so a leave in conditioner helps a lot. The best was Hansens Cherry Remo Plus Conditioner, which is now been discontinued by the manufacturer. Now we recommend Kelco 50:1 Ultra Moisturizer Conditioner Gallon. For Puppies: The best snuggle puppy with a heartbeat sound and warmer for your puppy is a SmartPetLove Snuggle Puppy Behavioral Aid Toy, puppies love these teething rings N-Bone Puppy Teething Rings Variety Pack 6 Pack Pumpkin Flavor and 6 Pack Chicken Flavor and puppies love these treats Grain-Free Dog Chew Treats Natural Human Grade Dehydrated Fish Skins. Dog Bed: The last bed you will ever buy. This is the first dog bed I have owned that lasted for years through puppies and adult dogs. I even had a female whelp a puppy on one of the dog beds and the stain came right out, easy to wash. Very durable bed we love the Big Barker 7" Pillow Top Orthopedic Dog Bed for Large and Extra Large Breed Dogs with Headrest and make sure you get the liner. It goes under the cover to protect the tempurpedic dog mattress against stains Big Barker Waterproof Liner Dog Bed Large with Headrest or Big Barker Waterproof Liner Dog Bed Extra Large with Headrest. Ear Supplies: What we use to clean the ears and really works great is EcoEars | Natural Dog Ear Cleaner - Infection Formula For Itch, Head Shaking, Discharge & Smell. Multi-Symptom Ear Treatment Cleans Away Most Dog Ear Problems. No Chemicals or Drugs-100% Guaranteed. Dog Collars and Leashes: The type of collar we use for training is a Fur Saver. For an adult females we use Herm Sprenger Curogan Dog Fur Saver 51604 (67) 1/6 inch (4.0 mm) Size 23 inch (58 cm) for Dogs with Neck Size of 20-21 inch and for adult males we use Herm Sprenger Curogan Dog Fur Saver 1/6 inch (4.0 mm) link diameter Size 25" (63 cm) for Dogs with Neck Size of 22-23 inch (55-58 cm). Dog Leash we use Fairwin Braided Leather Dog Leash 6 ft - K9 Walking Training Leads for German Shepherd. Dog Brush: This is the best dog brush for the undercoat on adult dogs. We love the JW Pet Company GripSoft Double Row Undercoat Rake Dog Brush it works great and for puppies Paw Brothers Universal Type Slicker with Coated Pin Tips. Dog Dremel and Nail Clippers: Nail clippers my vet recommends is one without a guard. The clipper works great and is a Millers Forge Quality Nail Clipper. The dremal our customer recommends is the Dremel 7300-PGK 4.8V Pet Grooming Kit. VERY IMPORTANT to train your puppy with the Dremel. Our customer said he taught his puppy by working with him a few minutes each day by rewarding the puppy with a treat when he reponded well. Dog Crate: For adult males we love this crate. Nice and big the MidWest Homes for Pets XXL Giant Dog Crate | 54-Inch Long Ginormous Double Door Dog Crate and for German shepherd adult females and a growing puppy this crate is great with dividers we love the XL Dog Crate | MidWest Life Stages Double Door Folding Metal Dog Crate | Divider Panel, Floor Protecting Feet, Leak-Proof Dog Tray | 48L x 30W x 33H Inches, XL Dog Breed. If after trying any of these products you find something better for German Shepherds, contact us and send the product information. We welcome your feedback and suggestions.